Those with a yen for murder-mysteries and thrillers, this one's for you. 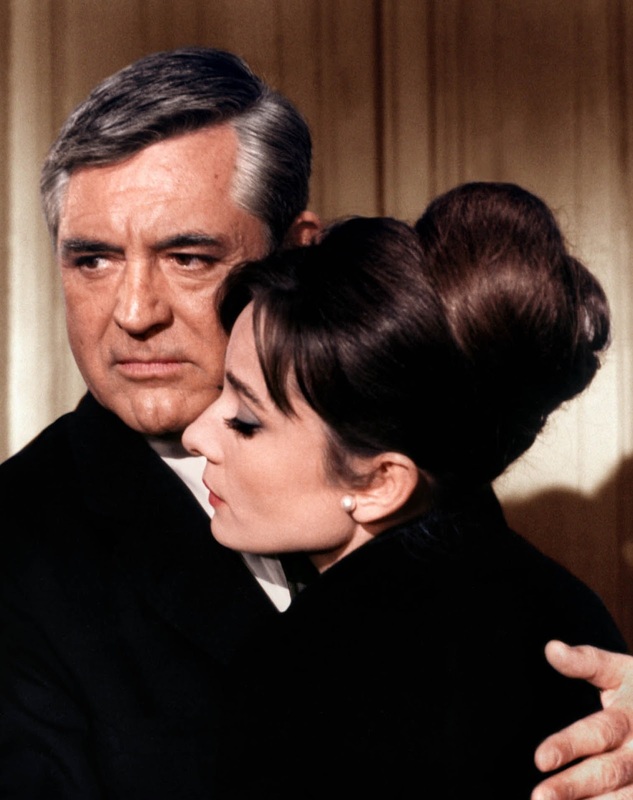 Have it from me: Charade is one of the best thrillers I've ever encountered. Fast paced and riveting from the word go, this is one story that will hook you till the end credits roll. The best part: The dreadful murders happen one after another but instead of chilling the spine they only whet your appetite to learn who will be the next catch. The murders are done just like that and for once there is no sinister element hanging in the air of this 1963 classic. Stanley Donen packs in plenty of romance, thrills and ready wit making his venture a roller-coaster attraction. Yes, this is one murder mystery where I smiled and giggled enough, there was a bit of gooseflesh only towards the end and I kept getting amazed at the surprises and twists unleashed by the the director every second moment here. 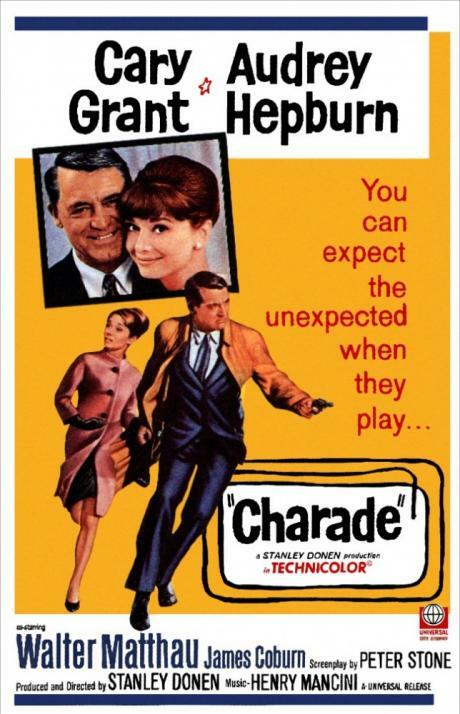 No wonder I think, Charade is not to be missed. The beginning prepares us for an Alfred Hitchcock-ish noir thriller but that's about it. (I recognised the opening soundtrack: It has inspired the title track of Gumnaam!) For the screenplay of Charade is very easy on the senses after that. You don't have to concentrate heavily on what's happening here. The incidents are easy to comprehend and there is a lucid approach to things that makes this easy on the senses. The cast is bright. I say bright because I had never seen Cary Grant play such a dashing yet grey role. 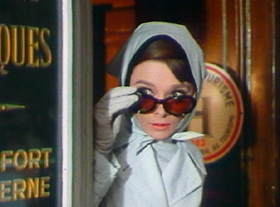 Audrey Hepburn's personality always make me feel that she has secrets up her sleeves. The three rogues, barring one, do not flaunt much of their roguish behaviour. And Walter Matthau is fantastic. As the misty morning air is clearing out, a dead body is pushed out of a moving train. This is the carcass of Charles Lampert who is supposed to be a well-heeled somebody in Paris. His wife Regina Lampert (Hepburn) is ski-holidaying in Megeve. She has decided to divorce her husband and makes her decision known to her friend Sylvie (Dominique Minot) who is also holidaying with her son, Jean Louis (Thomas Chelimsky). Charles, Regina says, has been very dishonest with her, a trait that she finds disgusting in men. Since she has already made up her mind to separate from her spouse, she is also in the mood to flirt with a stranger she meets called Peter Joshua (Cary Grant), who she learns is separated from his wife. It's funny how she confirms whether he is married and eggs him to flirt with her too. It's obvious that she, in her mind, is single and ready to mingle. Back home in Paris, she is astounded to find her apartment empty and runs out to call someone in panic, when she is stopped short by Inspector Edouard Grandpierre (Jacques Marin). He notifies her about her husband's murder and throws a flurry of questions to her. That Regina is hardly struck by the terrible news is worrisome on my part. True that she was the least bit in love with Charles. But on hearing that he was murdered so brutally, shouldn't she have reacted more strongly? So, did she have a hand in it? The inspector tells her that despite earning a fortune from the auction where he sold everything in the apartment, Charles was travelling on the train practically a beggar. Apart from a four passports, four thousand francs in his wallet, a letter to Regina, a notebook, a toothbrush and a toothpowder, Charles wasn't carrying anything else. This alarms the police. And us! During Charles's funeral, there is more cause for concern. Practically unattended, Regina is confused to find just three visitors who act weird in front of Charles's body. One keeps sneezing and two poke him to assure that he is in fact dead. Next day, Regina is summoned by Hamilton Bartholomew (Walter Matthau) at the US Embassy, where she learns some grave facts about Charles and the three mysterious visitors. It so appears that Charles was involved in a theft during World War II. As part of the OSS (the predecessor of the CIA), Charles, Tex Panthollow (James Coburn), Herman Scobie (George Kennedy), Leopold W. Gideon (Ned Glass) and Carson Dyle were parachuted behind enemy lines to deliver $250,000 in gold to the French Resistance. Instead of doing their job, they buried it, but were then ambushed by a German patrol. Dyle was badly wounded and left to die; the rest got away. Charles double-crossed them, digging up the gold and selling it. Even though now he has been killed, the money remains missing – and the U.S. government wants it back. Reggie recognizes the oddballs from the funeral in pictures shown to her by Bartholomew. He insists she has the money, even if she doesn't know where it is. Regina goes back to the empty apartment and is surprised to find a visitor in Joshua, who says that he came calling after reading about the murder in the paper. Joshua checks her into a hotel as she finds the empty apartment eerie. But once there funny things start happening. Tex, Scobie and Leopold are constantly accosting her to get their money back. Regina is dumbfounded and scared because she knows nothing about the money. And there is this Peter Joshua is too attractive for her to be in her right senses but who is also a wee bit mysterious. A winning stroke by the director is when he shows Joshua to be one among the goons, in the guise of Alexander Dyle, Carson's brother. He too wants his brother's share of the money and is hoodwinking Regina for it. He is the dapper one that has the charms to befriend Regina. But the problem is that while all these men are aiming towards one thing, none of them can trust each other. Trouble multiplies when slowly each one of the three men end up dead, with the noose around Regina's neck tightening. Can she trust anyone here? Is this Bartholomew good enough to help? Who is this Joshua? is he really Alexander Dyle? Or is he the charming robber Adam Canfield? What is his original identity? Who all are wearing a mask? And most importantly, where is the money, behind which everyone is running like hungry jackals?? A mind-boggling thriller, Donen makes it even more sharp with the sudden twists hurled at us every second. Like every time Cary Grant's character reveals that he is not a certain person and that he was lying to Regina, we start suspecting him even more. Like when Joshua (now Canfield) tastes the toothpowder and declares it to be heroine, I gasp and say, "So this is where the money is!" But the next moment he draws a straight face and says, "Peppermint flavoured heroine." And I'm like: "Oh it's back to square one again. The chase continues!" Regina is caught in a mesh out of which she cannot come out of her own free will. She wants to believe Joshua, but should she? Who is killing all these men? And is Carson Dyle really dead? Questions galore make this movie even more exciting. 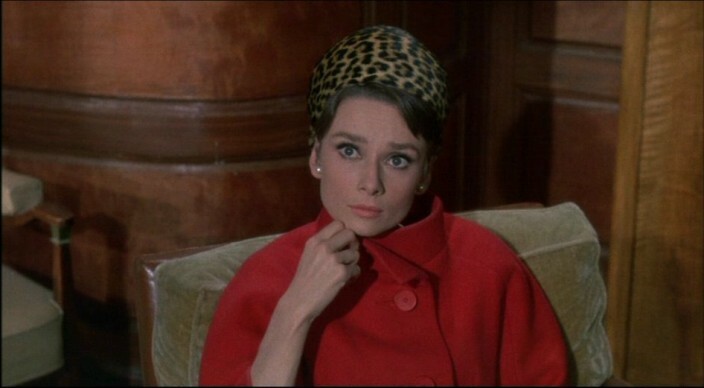 Paris is lovely in the film and so is Audrey Hepburn. She is no longer the cute thin girl. Here she is in charge of her emotions and carries herself with elegance and class. Oh! How I love her Givenchy attires! She acts superbly as the troubled widow who is having loads of problems solving the jigsaw puzzle that may cost her her life. 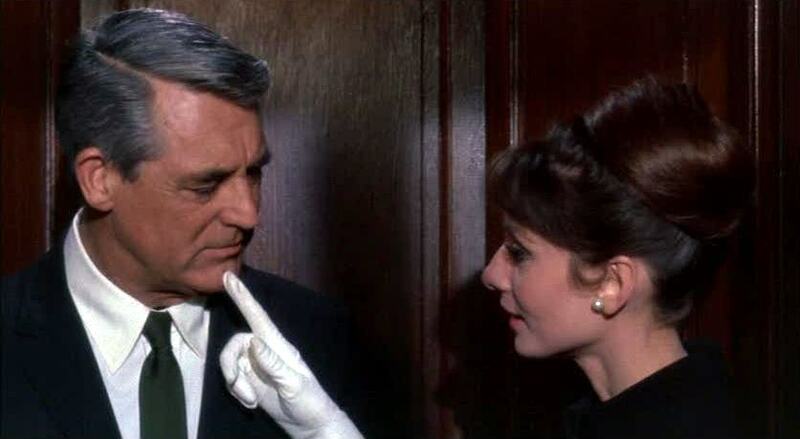 The chemistry between Cary Grant and Hepburn is crackling. Despite the fact that he is trying to be all casual and relaxed when he talks to Regina, you can see that he obviously finds her lovely. And this is one place where I really like to see the woman making the move. The dialogues are witty and despite the looming danger the lighthearted tone of the film makes things easy. But the director saves the best for the last. A nail-biting denouement to almost two hours of thrills, it's really worth seeing the chase for the money (you can never imagine where it lay actually! ), chase for the murderer and the chase between Regina and Joshua. Absolutely edge of the seat, I tell you!! I know this would be the one that you would review.Don't ask me how? This one is superb and is really thrilling.I have seen this one before not once but around five times.Lastly your choice of films is really good. I just love this movie. I think I was in college when I first saw it, and I have seen it several times since then, and loved it each time. Yes, Paris is lovely in this movie, and I made it a point to visit the Tuileries when I went to Paris, just to see the gardens as they looked in this movie, but I think my favorite scene is the very last one with Cary Grant and Audrey Hepburn - he was so so so good looking and she was so cute, especially when he shows her the photo in his wallet! I swooned over him in this scene as a teenager, and I would do so even now, but it is a little awkward these days! @Lalitha: No it isn't. I think I will swoon over all these men even when I am 80. Such was their magnetism, such charm. Yes, the last scene was really cute, especially when Regina is caught unawares by the mention of Marriage licence!! This one is the perfect thriller. Even when you know exactly where the money is, and what the next twist on the horizon is, it is still fun to watch. I watch it once every few years, and in spite of knowing it so well, I never tire of it. 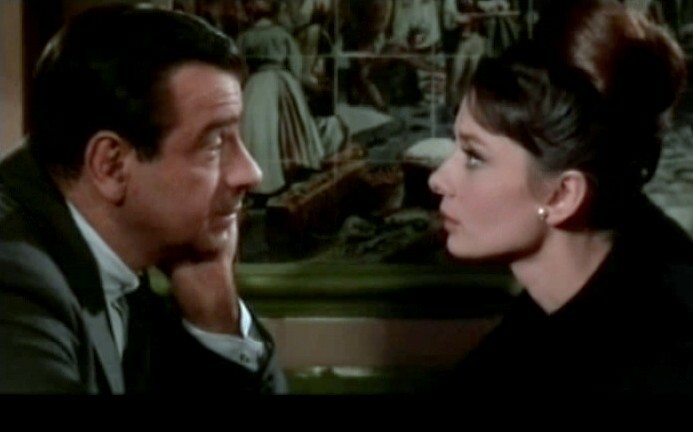 Cary Grant and Audrey Hepburn's flirting is particularly well done, and I'd watch it for that alone! Sharmi, I've never seen 'Charade'. What? It sounds really good. 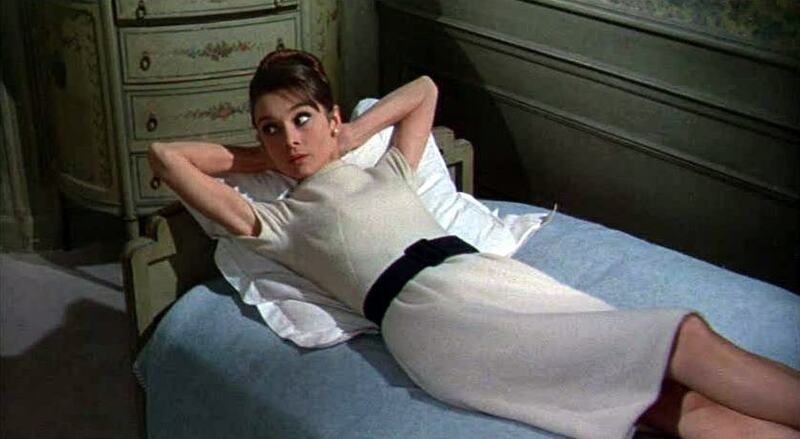 And Audrey Hepburn looks so, so glamorous. And Cary Grant. Ah! :-) So that was the one. Yes, great movie, Sharmi. I LOVE this one - one my favourite Cary Grant films (which is saying a lot - I am a great fan of his). It's so well-scripted and acted, and that last scene is a winner. I haven't read the review. Will read it after watching it. 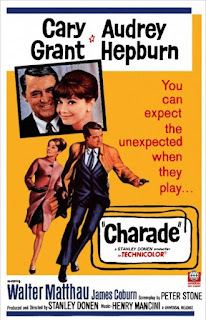 Bollyviewer left me the link to your review of Charade on my blog. Where I reviewed, guess what? :) It was an awesome movie, all the more so for being completely new for me. I fouled up the html, I think. Hope this works. @Bollyviewer: Yes the dialogues, the sequences and the clothes. And the cast. Everything is so well put-together. It's like Teesri Manzil. Even when you know who is the murderer you can watch the film endlessly!! @Banno: Please watch it immediately. It's super duper thrilling. 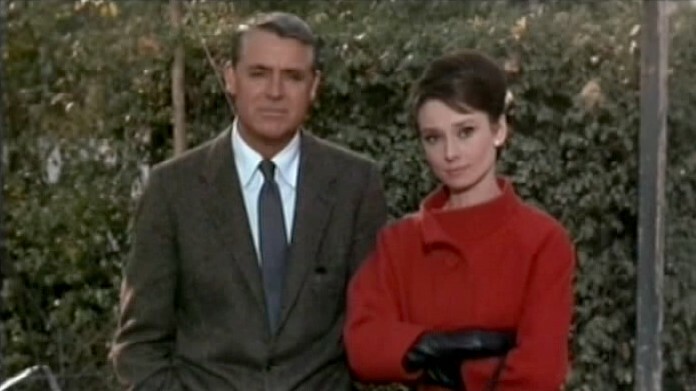 Cary Grant is dashing and Audrey is glamorous in those Givenchy costumes. @Dustedoff: The last scene is meticulously done with such a sweet surprise element. Love the undercurrent of wit that runs throughout. Yippieeee I'm so happy that all of you'll love this film like me. Mission successful in writing this post! @Anu: Welcome. You are visiting my blog the first time, right? Hope you like my work. But there seems to be a problem with link. Anyways, thank you and keep reading. @Anu: Thanks. NOw I'll check this one. @Pacifist: I'm sure you will like the film Pacifist. Come back and tell me about your thoughts on this one. @Sharmi, great minds think alike. :)) I just added your blog to my reading list before coming here. This film sounds so wonderful! I have it lying in my cd rack but havent seen it yet. It's now going to shoot up right on top of my must-watch-immediately list. Will watch it and come back again.